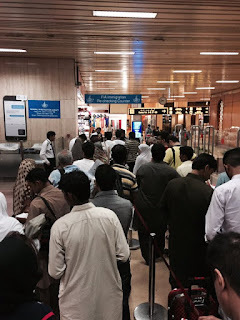 Karachi Airport is the busiest Airport of Pakistan. 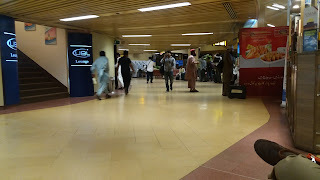 On my recent flight from Karachi Airport, I feel that the airport needs major refurbishment, uplift and more easier system. As I entered the main departure building, my luggage was first scanned by the scanner machines of the Airport security force. After passing that, I was greeted by Custom Officers who were inquiring me with all sorts of questions like my destination, the purpose of my visit, duration of my visit and my profession. If you are lucky you can pass thru custom officers without having them open your luggage. But if they decide to check your luggage, they will open your luggage on an open type table, infront of several on looking eyes. My luggage and its belongings are very personal and private to me and I do not feel alright to have my bag inspected infront of everyone. After being done with the customs, I was greeted by Anti Narcotic Force (ANF) who had similar questions as that of custom officials. 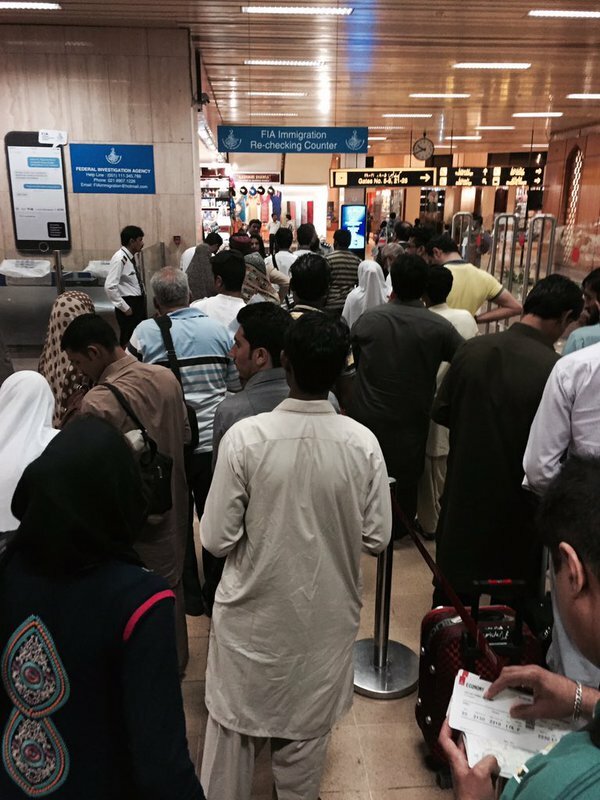 So if they let you pass thru then you are lucky, else once again you are made to open your bags and having your belongings inspected by the ANF officials. After passing thru the ANF counter, I went to the airline check-in counter for the boarding pass. I then went to the immigration counter. After passing thru the immigration counter, there was another counter named “FIA Immigration RE-checking counter”. Apparently, here they checked that my passport was stamped correctly by the immigration officer, but yet again these people asked somewhat similar questions as I have been answering ever since entering the airport. Finally, after passing all these hurdles, I went into the main departure lounge. The main departure lounge had only two or three washrooms with only two toilets each. There were long ques to use the toilet and need for more washrooms was greatly felt. Over the years air travel has increased many folds and the need to upgrade Karachi Airport facilities and system is felt everytime I travel.